GUATEMALA CITY, May 29, 2010 (AFP) - The first tropical storm of the season threatened Central America's Pacific coast Saturday after killing 15 people in two countries, as Guatemala coped with twin natural catastrophes including a massive volcano eruption. Tropical Storm Agatha, with 65 kilometers (40 miles) per hour winds and up to half a meter (20 inches) of rain was 30 kilometers (20 miles) southwest of the Guatemala-Mexico border. 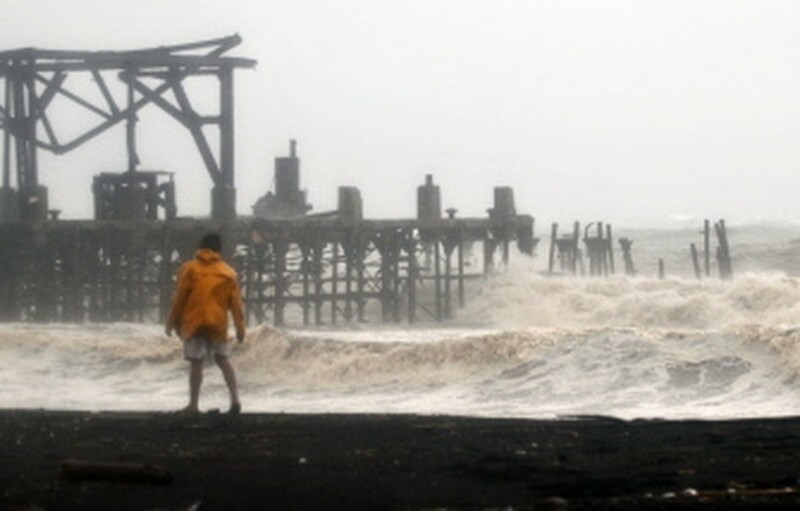 It was expected to make landfall overnight, the US National Weather Service said. In Guatemala, the storm has already dumped 36 centimeters (14 inches) of rain, triggering flash floods and landslides that killed 14 people Saturday, including four adults and four children inside homes buried by mudslides, officials said. The the National Disaster Agency did not indicate the circumstances of the remaining storm fatalities, but said 12 Austrian tourists were rescued from a resort area that was cut off by a sinkhole in its only road access. Eleven persons were reported missing in the western part of the country, it added. In El Salvador, also hit by Agatha's driving rains, one person was killed, authorities there reported. Confronted by the storm and by the erupting Pacaya volcano, which since Wednesday has killed two people including a television reporter and closed down the country's main airport for five days, President Alvaro Colom called on his countrymen to pull together. "I call for unity... all of us Guatemalans are challenged by this great trial we're facing... so we must organize ourselves better and maintain the spirit of solidarity that has emerged these past few days," he said during an emergency cabinet meeting. 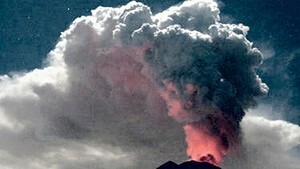 Colom on Friday declared a state of emergency around volcano Pacaya, 50 kilometers (31 miles) south of the capital, where some 2,000 people have been evacuated, and on Saturday said he was mulling extending the emergency blanket nationwide as Agatha wreaked havoc. He said he had canceled his scheduled visits to the Dominican Republic and Canada next week to devote all his attention to the storm and ongoing eruption. The capital's La Aurora International Airport will remain closed for five days as cleaning crews hampered by driving rain try to clean up centimeters (inches) -thick ash from the volcano. Colom said six departments were currently awash from the storm, with three of them reporting highways cut off by floods and mudslides. He warned people in the area to remain indoors. He said the government would seek an 85-million-dollar loan to cope with the twin natural disasters. In neighboring El Salvador, the government reported one person killed from Agatha and said it raised the color-coded national alert system from green to yellow at the approaching storm. It reported three rivers overflowing their banks in the western part of the country, with some areas undergoing precautionary evacuations.